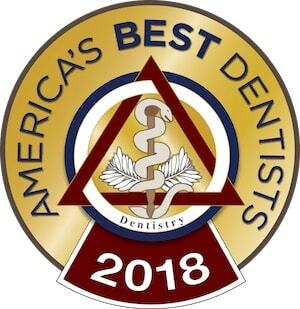 Once you have decided to undergo professional teeth whitening at Columbus, Ohio area Firouzian Dentistry, you can be assured your smile will remain white and bright for some time. However, there are ways you can keep your teeth white during your daily oral hygiene routine. Dr. Firouzian uses the Zoom! Advanced Power Whitening System in his office. This allows him to get your teeth several shades whiter than they are in a small amount of time. This is a very common cosmetic dentistry procedure and is completely safe. Once you have had your teeth whitened at Firouzian Dentistry, it is still very easy to maintain a high level of brightness. The easiest way is to continue brushing and flossing every day. In addition, you should drink water to keep your saliva levels up. Saliva helps to remove both bacteria that can lead to tooth decay and gum disease, as well as the staining agents in our food and drink. You may have seen many different kinds of over-the-counter whitening strips. However, these do not work very well since they may not fit your mouth, and can cause gum irritation. Dr. Firouzian offers take-home whitening kits that you can use at your convenience to keep your teeth white. Using the take-home whitening kits and keeping your daily oral hygiene routine will keep your teeth very white, and work in conjunction with the in-house teeth whitening procedure. You should also try to limit beverages like coffee and tea, as well as eating curries, berries, or other foods that stain. Learn more about common questions regarding teeth whitening. If you would like to learn strategies for keeping your teeth as white as possible throughout the year and are in the Columbus, Ohio area, please contact Firouzian Dentistry and set up an appointment with Dr. Firouzian today.